E-commerce major Flipkart opened its largest fulfillment centre in the country on the city outskirts on Friday. The facility is expected to generate 17,000 direct and indirect employment opportunities. 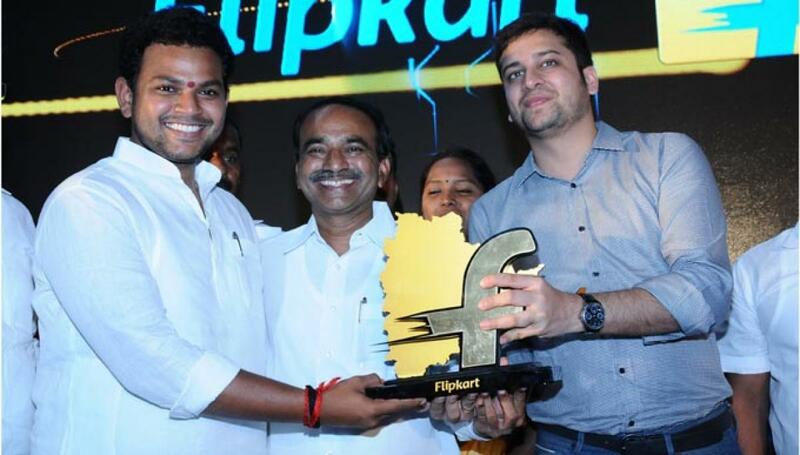 Hyderabad: E-commerce major Flipkart opened its largest fulfillment centre in the country on the city outskirts on Friday. The facility is expected to generate 17,000 direct and indirect employment opportunities. Finance Minister Etela Rajender inaugurated the centre which is spread over an area of 2.2 lakh square feet at Gundlapochampally village near Medchal in Ranga Reddy district. This fully-automated facility, which has a massive storage capacity of 5.89 lakh cubic ft, can handle 1.2 lakh outbound units and an equal number of inbound products a day. “We have established this facility here because Telangana is a best destination for business. The State has conducive environment for e-commerce companies and that’s what has largely supported us in the installation of this high-tech facility,” Binny Bansal, Chief Operating Officer and co-founder, Flipkart, said. He further said Telangana Government has come forward to see that no double taxation is levied on the products sold by the ecommerce player using the new centre. Flipkart has designed the new centre in such a way that it will not only provide easy access to e-commerce services for sellers, but also enable the company to extend faster and seamless services to customers. “It is good that Flipkart has established this advanced facility in the State which has become best place for companies from India and abroad to set up plants and businesses. We expect more such companies to come here in the times to come,” said Etela Rajender. With the new facility, Flipkart has a total of 17 fulfillment centres across the country. The company is gearing up to establish 80 to 100 more such centres in the country in next four to five years by investing $500 million. Nearly 50 per cent of these new centres are expected to come up in Tier 2 and 3 cities. In addition, it has also lined up investments to the tune of $2 billion to strengthen its logistics and other operations, which will take total investments to $2.5 billion (over Rs 16,000 crore) in the next five years. “We have invested $100 million on fulfillment centres so for. The new investments will help us extend our services to all pin codes in the country,” said Bansal. Asked about the company’s plans to raise funds, he said: “We are well capitalised now and the funds we raised till now will be sufficient to fund expansion for the next few years”. According to him, the ecommerce major has no immediate plans to hit the stock market. “Our IPO (initial public offering) will be in the long range. We may go for it in five years or so,” he said. Established in 2007, Flipkart sells 30 million products across 70 categories now. It delivers 5 lakh orders per day.